If you’ve just parked your car — or moved it from being parked for a couple hours — you may notice a dark puddle pooling beneath it. Depending on what time of the year it is, where you live, and what condition your car is in, that dripping liquid could be one of a number of fluids. Here’s a handy guide to identifying what is trickling from the car’s undercarriage. 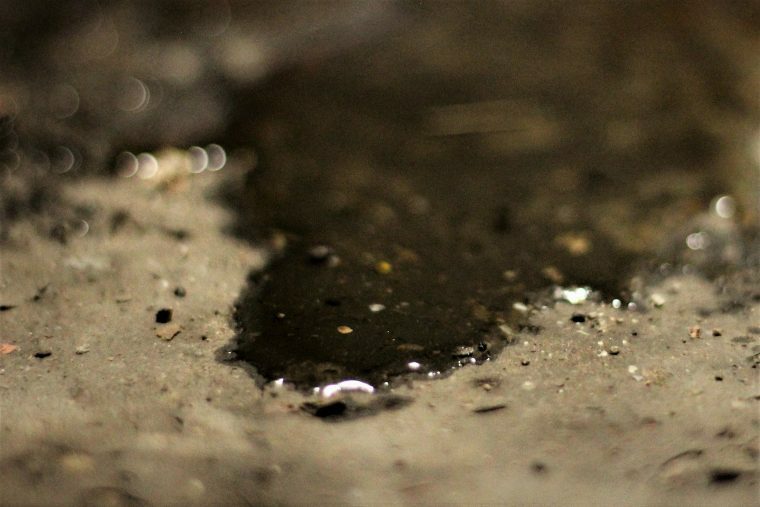 There are two primary factors for determining what is dripping out of your car and where it’s leaking if you aren’t sure what the liquid on the pavement is: the location of the puddle and its color. If you can identify the location of the puddle underneath your car, you can usually pinpoint the whereabouts of its source. Under the engine: Liquids pooling under this area are, more than likely, coming from the engine bay. Because of the sheer number of tubes and pipes running through this area, figuring out what color the liquid is crucial to identifying it. Near the wheels: If you see an excessive pool of dirty water near the wheels, it’s possible that this puddle is nothing more than chunks of ice and snow that have thawed. However, if it’s not winter or the liquid is brownish and greasy, it might be brake fluid, especially if it’s only near one of the wheels. By the rear: This side of your car houses the gas tank and exhaust system. If the liquid on the ground is gasoline, you’ll certainly know by the smell. If it doesn’t have that distinct chemical smell, it might just be water formed by condensation via the air conditioning system. That’s pretty common, especially when you’ve been running the A/C during the summer. Even if you don’t identify what the mysterious liquid under your car is, if you can rule out it being water, bring your car to a mechanic for inspection and potential repair. Waiting too long could result in a system losing most of its lubricant or hydraulic fluid.